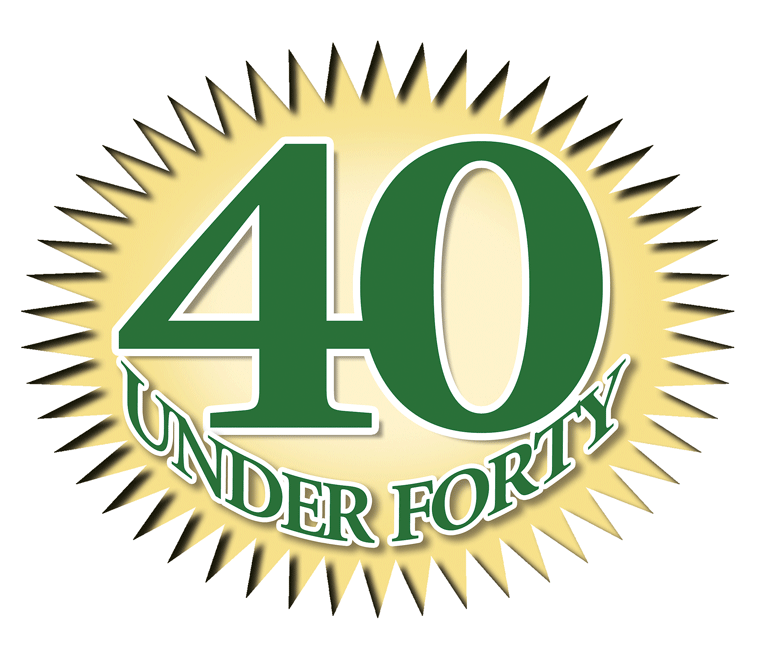 You might call this a breakthrough year when it comes to the 40 Under Forty program. Indeed, for the first time, there are more women than men gracing the cover of the magazine that introduces them. What that means is … well, we’ll let you decide what it means, ultimately. What it means to the region, we believe, is that an ongoing trend toward greater diversification — in the workplace and in the communities that comprise the four western counties — is accelerating. Contributions range from serving as co-chair of the annual campaign for the Hampshire County United Way to finding new and different ways to give back to Link to Libraries, the group that puts books in the hands of area schoolchildren, to using one’s talents in public relations to bring more exposure to the work of the Salvation Army. 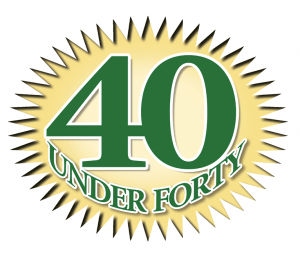 The class of 2016, its diversity, and its individual and collective accomplishments will be celebrated at the annual 40 Under Forty Gala on June 16 at the Log Cabin Banquet & Meeting House. Tables for this event have been sold out, but a small number of individual seats and standing-room-only tickets are still available, although they will go quickly. Download the flipbook of this year’s 40 Under Forty HERE. Tickets can be ordered by calling (413) 781-8600, ext. 100, for more information go HERE. The gala will also feature the announcement of the winner of the second annual Continued Excellence Award, a recognition program that salutes the 40 Under Forty honoree who has most impressively added to their résumé of accomplishments in the workplace and within the community, as chosen by a panel of judges (see the profiles of the five judge’s HERE). Becky Moriarty was always close to her grandparents, and it hit her hard when she lost a grandfather in 1994. But it also altered her future. And that’s how a 15-year-old girl decided she wanted a career helping the elderly. She started out after college working with an elder-services agency, but the work did not provide the face-to-face interaction with older adults she craved. That changed when the Hampden Senior Center came calling in 2002. There, she’s responsible for day-to-day operations like budget, payroll, staff supervision, and grant writing. But she most enjoys the daily interactions with the folks who show up to participate in myriad programs. ‘Heart,’ in fact, is a good word for someone who’s had a heart for the elderly since she was a young teenager. Andrew Anderlonis spent six years in the U.S. Navy — his obligation in exchange for the scholarship awarded him to attend George Washington University — and admits to occasionally thinking about making the Navy a career. But he majored in international business and management information systems at GW, and admitted that this was where his passion really lay. And he wound up putting those talents to work in a setting he probably wasn’t thinking about while helping to put the USS George H.W. Bush, a Nimitz-class supercarrier, through its paces several years ago. That would be Rediker Software, the venture started by the man who would become his father-in-law, Rich Rediker. Indeed, while the founder is still quite active in the business, which specializes in creation of software programs for school systems, Anderlonis now serves as president, a broad role that involves everything from long-range strategic planning to new-product development, and to finding new and different ways for the company and its employees to make a difference within the community. And he enjoys all aspects of that job description, particularly the community-involvement element. Within that realm, he conceptualized the company’s internship program, which gives local high-school and college students the opportunity to develop, launch, and distribute new educational technology products to schools locally. He also launched the company’s volunteer initiative known as Rediker Cares, which gives employees the ability to give back to the local community. Through that program, Anderlonis has ramped up the company’s already-considerable commitment to Link to Libraries (LTL), which, since its creation nearly a decade ago, has donated more than 500,000 books to area schools and nonprofits. Rediker has for some time donated space at its Hampden headquarters for LTL’s warehouse, but Anderlonis has become directly involved by joining the agency’s board. “One of the big reasons I left the Navy was that I wanted to be around to see my child grow up and be there for him,” he explained, referring to 2-year-old Tyler. In short, his life story has already had some intriguing plot twists, but some of the best chapters are still to be written. “I grew up in Greenfield, I went to college, I graduated, and I came right back,” she said proudly. 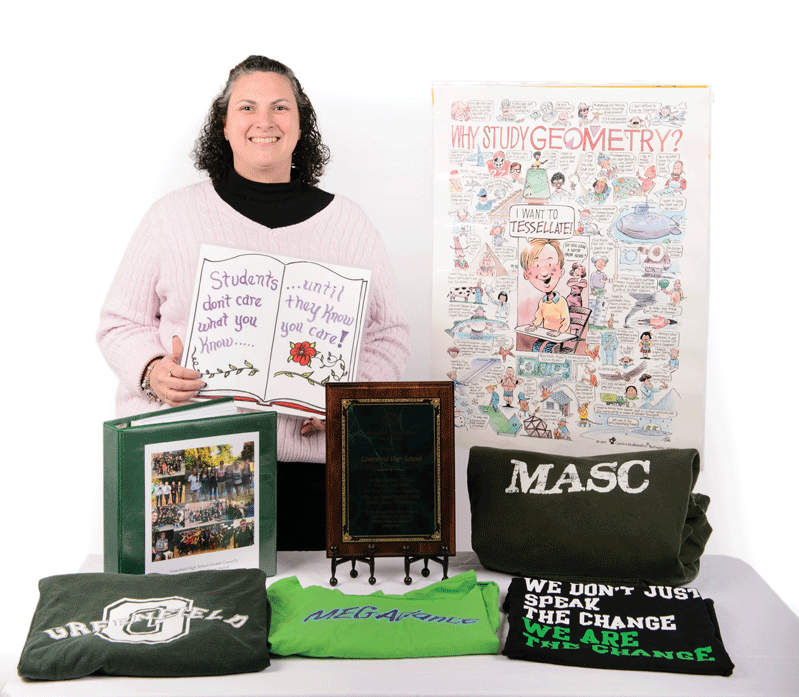 There’s a big crossover for Mass between her social justice class and her student council members as well, both of whom benefit from statewide exposure to community-service opportunities through her roles as executive director for the Western Mass. Assoc. of Student Councils and member of the state board of the Mass. Assoc. of Student Councils. Mass has helped burst that bubble for others outside of Greenfield too, putting the town on the map in an unlikely way — as host of a state-level unified bocce tournament. “To see that happen — the partnering with athletes, the kids from all over Massachusetts who’d never ventured out here before, and so many people coming out to be fans … because of all of that, this is one project I’m most proud of,” she said. It’s the all-are-welcome nature of bocce that helps create a strong feeling of community, she added, noting that she finds her own tribe in a similar place, as an avid Zumba practitioner. “It lets me dance myself happy, it’s high-energy, and if you’re not following just the right steps, no one cares,” she said. And while the entire Commonwealth has a place in Mass’ heart — it’s her last name, after all, and her children, Chelsea, Aquinnah, and Auburn, share their names with places in the Bay State — when it comes to Greenfield, there’s no place she’d rather be. When asked about everything that goes into his job description and how he carries out that broad assignment, Michael Clark summoned some phrases and analogies straight from one of his boss’s top priorities at the moment — gaining expanded rail service for the Greater Springfield area. Putting aside the railroad terminology for a moment, Clark, who worked on Lesser’s campaign for the Senate in 2014 and eventually led that effort, said that perhaps his most important function — and it’s not written down anywhere — is to act as the senator’s sounding board. “I spend a lot of time with him myself, and we do a lot of strategic planning,” he said, adding that there are many issues to contend with in Lesser’s extremely diverse 1st Hampden and Hampshire Senate district, one that includes Longmeadow, East Longmeadow, and other affluent suburbs, but also roughly half of Springfield and two-thirds of Chicopee, the region’s largest urban centers. Some issues are specific to one city or town, he said, but most, like the opioid crisis, rail service, and boosting the manufacturing sector, cross all border lines. When asked what he likes most about his broad role, Clark paused and said, in essence, everything. Indeed, he told BusinessWest that he very much enjoys the challenge of running a political campaign — and he’s been involved with several beyond Lesser’s — but also likes the hard work that follows a race, especially the part about listening to constituents and working to address their concerns. 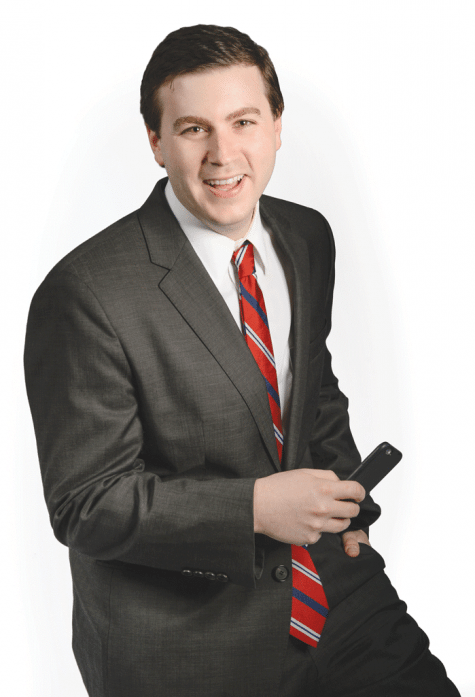 He does this not only in his role as Lesser’s chief of staff, but also as a member of Longmeadow’s School Committee, which is tasked with maintaining one of the state’s best school systems and serving an extremely demanding constituency. When asked about the 2016 presidential race, shaping up as one of the most intriguing in the nation’s history, Clark, who can look at it from several angles, summoned just a single word to describe it all: crazy. That adjective would also apply to his schedule, workload, and the sum of those efforts to keep the train on the tracks. There’s a lot going on in Beth Angelos’ life, but she sees connections everywhere: between her two career paths (now happening concurrently), between having fun and learning, and among the people she meets as a business owner, corporate professional, volunteer, and civic leader. 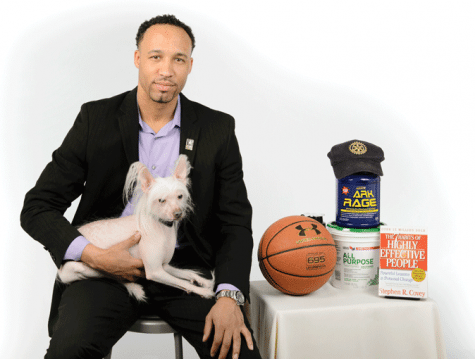 Angelos is co-owner and director of Curriculum for InspireWorks Enrichment Inc., which offers after-school and summer-camp programs to school-aged children with an emphasis on learning. Campers might be building rockets and robots, for instance, but they’re learning programming code in the process. The same goes for programs focused on art, science, cooking, athletics, and more. The business began while Angelos was still in college. She was working on a business plan for a class in entrepreneurship, and her boyfriend — now her husband, InspireWorks Executive Director and past 40 Under Forty honoree James Angelos — encouraged her to take the plan out of the classroom and into real practice. Nine years later, InspireWorks is thriving, and Angelos has added another facet to her professional life as a talent data and strategy analyst with Brooks Brothers, a position that allows her to work on the leading edge of human-resources practices. That team led the first successful implementation of Talent Central, the first human-resources information system platform ever used by Brooks Brothers in North America. A promotion and a new title followed for Angelos, along with the opportunity to continue implementing that new platform globally. Angelos’ heart is always in community endeavors, however, and she devotes much of her time to volunteering — as a 13-year radKIDS personal empowerment and safety education instructor, for one, and a board member and events committee chair with the Young Professional Society of Greater Springfield. She also organizes opportunities for co-workers to volunteer in the Springfield area through Brooks Brothers’ Suited for Service program. Jenny MacKay is a numbers person who believes everyone has a chance at being number one. That’s the attitude she brings to her position as employee benefits strategy advisor with the Gaudreau Group Inc. in Wilbraham, and a lesson she often teaches as head cheerleading coach at Central High School in Springfield. The worlds of finance and coaching are two MacKay has been balancing since her senior year in college at Western New England University, first as a financial representative with Northwestern Mutual, and later with the Gaudreau Group, where she works with management teams at businesses of varying sizes to design benefit-package plans for their employees. “I work with them over the years to keep costs down, increase employee engagement, and make sure they’re getting the biggest bang for their buck in terms of benefits plans,” she explained, noting that she often talks about her other professional life with the student-athletes she works with at Central. 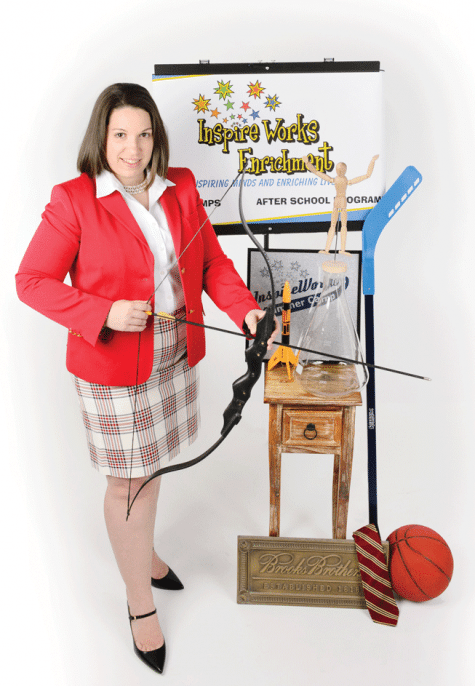 These include her educational endeavors of a different sort, such as consulting with companies on changes brought about by the Affordable Care Act, serving with the Professional Women’s Chamber board of directors, and serving on various committees with the Chicopee Chamber of Commerce, the Chicopee Boys and Girls Club, and other organizations. It’s a message MacKay has been able to pass on to an ever-increasing number of young women; since she took over coaching responsibilities at Central, participation has more than doubled. The team has started to experience its own successes, too, winning the Western Mass. League Championship for the first time in the school’s history in 2015, and making its first-ever appearance at the state tournament just this year. Ashley Clark wanted a challenge. 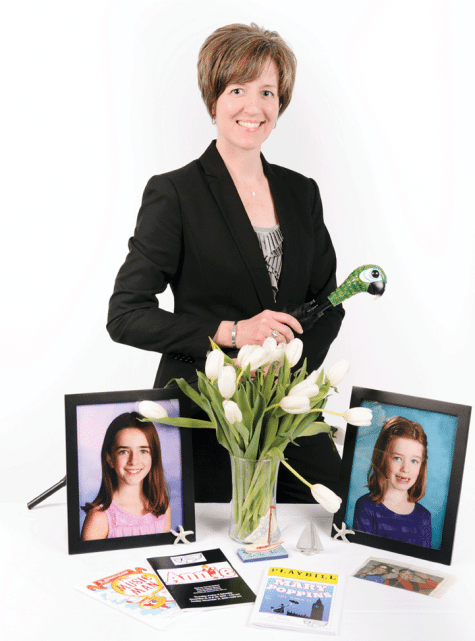 She entered the banking world after college with a part-time teller position at Westfield Bank. From there, she moved to a full-time role, but after a year of that, she approached her superiors and said she was bored and needed more of a challenge. Because they wanted to grow their cash-management department, they moved her there. The good news is, she’s far from bored. With those opportunities, Clark has become acquainted with a vibrant business community in Greater Springfield, and has become heavily involved in organizations like the Young Professional Society of Greater Springfield — where she chairs the YP Cup dodgeball tournament that draws close to 400 participants annually — and Valley Venture Mentors, where she helps mentor startup companies trying to reach their dreams of successful business ownership. That’s not to say cities don’t have problems, she added. In other words, this finance professional is bullish on Springfield. Walsh, on the other hand, appreciates the value of recreation more than most. As a project manager with the Springfield Department of Parks, Buildings and Recreation Management, she oversees park renovations from the grant-application process through final construction. Her career is also a striking example of coming full circle in life. Born and raised in the Forest Park neighborhood, Walsh studied recreation administration and outdoor therapeutic recreation at Aurora University in Illinois, then brought those skills to camp programs throughout the U.S. and Ireland. But she had an itch to come home — right around the time Springfield was looking to hire someone to oversee the renovation of Forest Park’s Camp STAR Angelina into an accessible park for people of all abilities. The new Camp STAR Angelina was dedicated last June, but is only one of a growing number of projects Walsh has overseen, including redevelopment efforts at North Riverfront Park, Nathan Bill Park, Mary Troy Park, and Balliet Park. Her next construction-management job will be the development of South Branch Park — to be renamed Sgt. Thomas Sullivan Park — which will include an accessible kayak launch, reflecting yet another of her passions. More often, though, Walsh is fully engaged with her community, as a Forest Park Civic Assoc. board member and a volunteer with the Hole in the Wall Gang Camp in Connecticut, the Read-a-Loud program in Forest Park schools, the Red Cross, and several other organizations. She said her civic involvement comes naturally, having grown up with two parents on Springfield’s City Council (her mother, Kateri Walsh, still serves).